﻿Dr. Cheickna Sylla is an Associate Professor of Management Science and Decision Science as well as the Associate Dean of the Martin Tuchman School of Management, New Jersey Institute of Technology, Newark, New Jersey. He holds a Ph.D. in Industrial Engineering from SUNY at Buffalo, Buffalo, New York. His teaching and research interests include: statistical analyses and applied operations research methods to human machine interfaces studies, project management, distribution logistics, management information systems, decision support systems, and operations management. His research publications appear in IEEE Transactions in Systems, Man and Cybernetics, IEEE Transactions on Engineering Management, European Journal of Operations Research, Computers and Industrial Engineering, Control Engineering Practice, and Cost Management, International Journal of Management and Decision Making, International Journal of Information Technology and Management, International Journal of Networking and Virtual Organizations, International Academy of Business and Economics, and International Environmental Agreements: Politics, Law and Economics, etc. He published numerous articles in conference proceedings. He is a member of INFORMS, IIE, and Production & Operations Management Society. He has been involved in developing and teaching business statistics and data analysis courses at both undergraduate and graduate levels for over 20 years. He is married and has 3 children. o State University of New York at Buffalo, Buffalo, NY. o Ecole Nationale D'Ingénieurs (ENI) of Mali, Bamako. 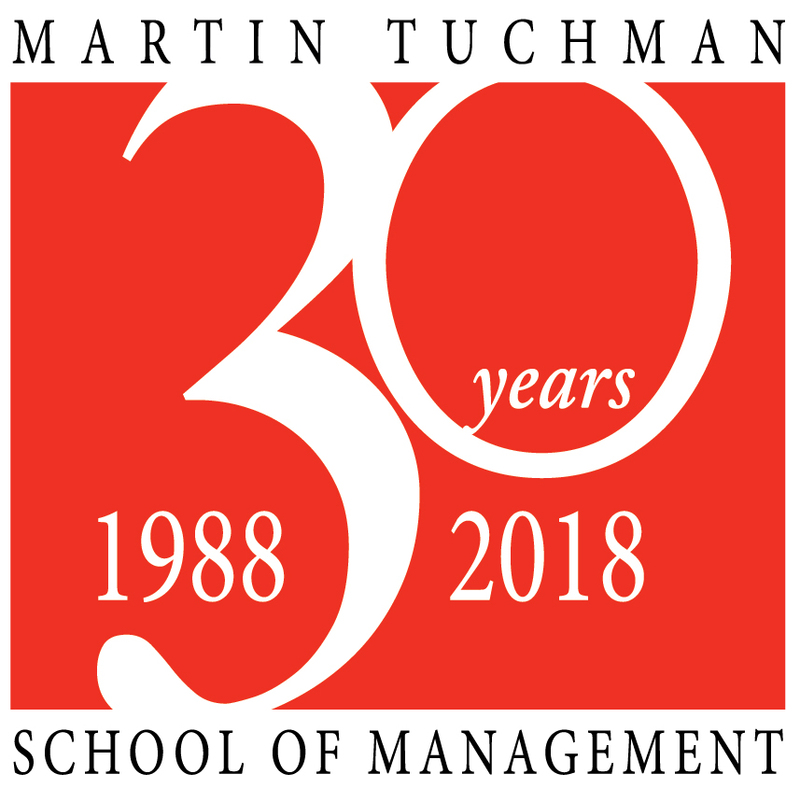 • Members of Rutgers School of Management Ph.D. Program Faculty. My appointment will expire in 2012 and is renewable every 5 years based on research productivity. • Received the much coveted Robert W. Van Houten Award for Teaching Excellence from the NJIT Alumni Association in 2003 University Convocation. AY 2006 – 2007, for Outstanding Professional Development in Teaching by Tenured Faculty. Web of Systems Performance,” May 2008 (Ph.D. Committee Member; Dr. Brian Whitworth was the Director.). • Mojgan Mohtashami, “Study of Inter-organizational Collaboration in Software Development,” expected completion May 2006 (Ph.D. Committee Member, Dr. Fadi Deek, Director). • Nutthapol Asadathom. ‘Scheduling in Assembly Type Job-Shops,” A Ph.D. Dissertation, Department of Industrial Engineering, April 1997. (Ph.D. Committee Member; Dr. Chao Xiuli was the Director.). • Whitworth, B. and Sylla, C., (2011). “A Social Environmental Model for Socio-Technical Performance,” European Journal of Management, International Journal of Networking and Virtual Organizations (accepted and in press and forthcoming). • Arinze B., and Sylla C., (2011). “Conducting Research in the Cloud.” Paper accepted as invited book chapter to appear in IGI Global Disseminator of Knowledge. (accepted for publication and forthcoming). • Sylla, C., Samra, M.Y., and Boon-Long, N., (2011). “A Framework for Developing an Ergonomic Programme to Reduce MSD in the Workplace,” International Journal of Networking and Virtual Organizations, Vol. 8, No. 3-4, pp. 241 – 253. • Sylla, C. Otegbeye, M. and Bolunmez, B., (2010). “A Hybrid Approach to Construction Contractor Evaluation and Selection,” International Academy of Business and Economics, Vol. 10, N0. 1, pp. 176 - 181. • Whitworth, B., Banuls, V., Sylla, C., and Mahinda, V., (2008) “Expanding the Criteria for Evaluating Socio-Technical Software., IEEE Transactions on Systems, Man and Cybernetics, Part A: Systems and Humans, Vol. 38, pp. 777 - 790. • Porchiung, B. and Sylla C., (2008). “The Formation of an International Environmental Agreement as a Two-stage Exclusive Cartel Formation Game with Transferable Utilities,” International Environmental Agreements: Politics, Law and Economics, Vol. 8, pp. 317 – 341. • Sylla, C., and Wen, J., (2002), "A Conceptual Framework for the Evaluation of Information Technology Investments." International Journal of Technology Management, Vol. 24, N0s. 2/3, pp. 236 -261. • Sylla C. and Banuls Victor, (2011). “Purchasing Database and E-Collections for Library: A Framework for Multi Criteria Evaluation and Selection,” in Proceedings of the 10th Wuhan International Conference on E-Business –Operations & Services Management Track, Wuhan, Hubei Province, China, May 20 – 30, 2010, Vol. 3, pp. 1325 – 1330. • Sylla, C., Edward, M.(2010). Performance Evaluation of Web-Based Distributed Systems for Inter-Organizational Collaboration for Software Development Wuhan, Proceedings of the 9th Wuhan International Conference on E-Business –Operations & Services Management Track, Wuhan, Hubei Province, China, May 20 – 30, 2010, Vol. 3, pp. 2692 – 2700. • Mojisola, O., Sylla, C. (2010). Seller’s Reputation Problem in Self-Enforcing Relational Contracts. Proceedings of the 9th Wuhan International Conference on E-Business –Operations & Services Management Track, Wuhan, Hubei Province, China, May 20 – 30, 2010, Vol. 3, pp. 2648 – 2653. • Sylla, C., Whitworth, B., and Mahinda, E., (2009). “Economic and Non-Economic Evaluation of Information Technology Investment based on General System Theory,” Proceedings of the 5th National Conference on Computing and Information Technology, Bangkok, June 2 – 4, pp. 671 – 676. • Sylla, C., Samra, M.Y., and Boon-Long, N., (2009). “A Cost/Benefit Justification Framework to Reduce MSD in the Workplace” in Proceedings of the 8th Wuhan International Conference on E-Business, May 30-31, 2009, pp. 2318 - 2325. • Porchiung, B. and Sylla C., (2009). “The Provision of Global Public Goods: A Game Theoretical Comparison of International Environment and Knowledge,” Proceedings of the 8th Wuhan International Conference on E-Business –Operations & Services Management Track, Wuhan, Hubei Province, China, May 20 – 30, 2010, May 30-31, 2009, pp. 1794-1800. • Sylla, C., and Sangaré, Adama., (2007). “Framework for Managing Global Supply Chain Risks,” Proceeding of the 6th Wuhan International Conference on E-Business, CD, pp. 2995-3001. • Mahinda, E., Whitworth, B., Sylla, C., (2006). “Using Web of System Performance Dimensions for the Evaluation of Social-Technical Systems,” Proceedings of the 5th Wuhan International Conference on E-Business, Vol. 2, pp. 332 -340. • Whitworth, B., Sylla, C., and Whitworth, E., (2006). “Assessing Emergent Business IT Using the Web of System Performance,” Proceedings of the 5th Wuhan International Conference on E-Business, Vol. 1, pp. 1 - 11. • Otegbeye. M. and Sylla, C., (2006). “A Fuzzy-based Decision Support System for Construction Contractors Evaluation and Selection” Proceedings of the 5th Wuhan International Conference on E-Business, Vol. 3, pp. 2165 – 2172. • Sylla, C. and Bolunmez, B., (2005). “DSS for Pre-qualification Analysis of Construction Contractors, Proceeding of the 4th Wuhan International Conference on E-Business, pp. 379 – 388. • Mohtashami, M., Sylla, C., Deek, F. and Il, Im. (2005). ‘Inter-organizational collaboration in software development’, 36th Annual Meeting of Decision Science Institute, 19–22 November, San Francisco, pp.18811–18817. • Mojgan, Mohtashami, Sylla, C. and Deek F., (2005). “A Study of Inter-organizational Collaboration in Software Development,” Proceedings of the 4th Wuhan International Conference on E-Business, pp. 300 – 310. • Sylla, C. and Yassir M Samra, (2004). “Evaluating the Environmental Costs of Manufacturing: The Industrial Manager’s Perspectives in the New Millennium,” Proceedings of the 2004th International Conference on Global Business and Technology Association, Cape Town, South Africa, June 8, 2004, on CD, pp. 201 – 210. • Sylla, C., (2004). “A Group DSS Methodology for Water Resources Project Evaluation and Selection for Economic Development,” Proceedings of the 2004th International Conference on Global Business and Technology Association, Cape Town, South Africa, June 8, 2004, pp. 756 – 761. • Sylla, C. and Philip, T., (2003). “Framework for Supply Network in the Extended Enterprise,” 2003 Global Business and Technology Association, Rome, in Proceeding CD. • Sylla, C. Chinnaraju, A. and Munuswamy. M., (2002). “Employee Turnover Intention in IT Industry,” 2002 International Business and Economic Research Conference, Las Vegas, pp. 203 – 209.